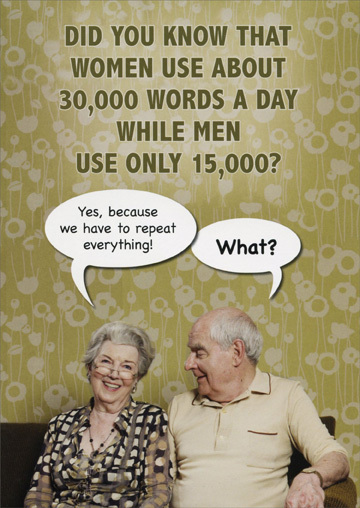 Did you know that women use about 30,000 words a day while men use only 15,000? Woman: Yes, because we have to repeat everything! Created about 3 yrs, 5 mths ago (October 30, 2015). Updated about 3 yrs, 5 mths ago (October 30, 2015).